You will notice dramatic improvement of your condition by receiving the essential nutrients your body needs to heal. Most people who receive vitamin IV therapy notice their overall health and energy levels improve dramatically by receiving nutrients your body needs to repair cells, boost the immune system, and fight against allergies and even the common cold. Vitamins, minerals, and amino acids are vital for good health. However, most people find it challenging to achieve the right nutritional balance through their diet and oral supplements, especially anyone who suffers from chronic illness. Intravenous or IV Nutritional Therapy delivers the necessary nutrients directly into your bloodstream, maximizing absorption and helping you achieve a high level of wellness. 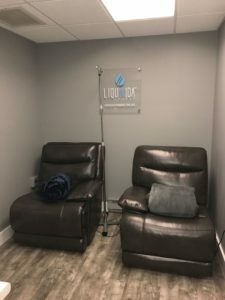 Nutrient IV Therapy is a painless and effective way to replenish your body with the essential nutrients it needs to increase your overall health. Our state-of-the-art wellness center is set up to help you relax the mind while you replenish the body. What is Nutrient or Vitamin IV Therapy? 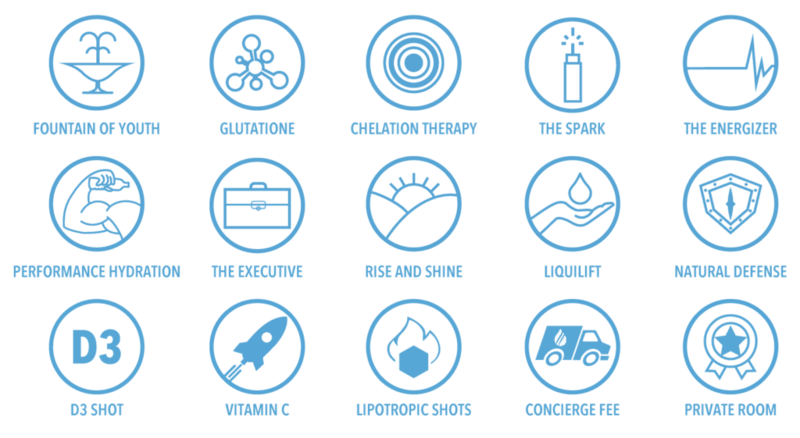 IV Nutritional Therapy delivers essential vitamins, minerals, and amino acids to your body through your bloodstream. It is based on medical and scientific research and has been shown to heal your body, improve your health and well-being, and prevent numerous conditions. During treatment, a cocktail of vitamins, minerals, antioxidants, and amino acids is administered to your body intravenously. Nutrients can be adjusted based on your individual needs to provide optimal nutrition to your body. When taking these nutrients through oral supplements, the body only absorbs roughly 30% of what goes into it. Compare this to nutrient IV therapy, which allows the body to absorb 100% of the nutrients. When your body lacks essential nutrients, you may experience hair loss, fatigue, depression, dry skin and hair, headaches, general malaise, along with many more symptoms. IV therapy is much more efficient than taking oral supplements because the nutrients go straight to your body. You avoid the digestive system, which sometimes does not absorb all the nutrients you consume. The nutrients will correct deficits inside cells, where they are needed, improving their ability to heal. Many patients suffering from fibromyalgia, chronic fatigue, chronic pain, menstrual cramps, infections, migraines, along with many other conditions find relief through IV therapy. Many athletes resort to IV Nutritional Therapy to help them recover faster and to have more endurance. During treatment, a cocktail of vitamins, minerals, antioxidants, and amino acids is administered to your body intravenously. Nutrients can be adjusted based on your individual needs to provide optimal nutrition to your body. Is Nutritional IV Therapy Right For Me? Anyone can benefit from Nutrient IV Therapy. Book a consultation today and let us help you reach your health needs and goals. What Nutritional IV Therapies do you offer? At Hyperfit MD, we are committed to helping you live your life to the fullest. Contact us online or give us a call at (203) 890-9777 to book your free consultation. We are located at 88 Noble Avenue, Suite 105, Milford, CT 06460. 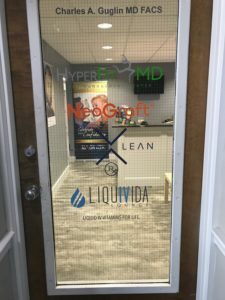 We are here to answer all of your questions to help you learn why Nutrient IV Therapy is right for you. Don’t let nutritional deficits hold you back. Reclaim your health today!